The Bantam C Selects won Championship bringing home gold trophies from the Kids for Kids tournament in Kingston. Their division had 12 teams including regular season teams such as both Kemptville teams, South Dundas and South Grenville. The Selects won all three games played in the round robin bringing, finishing in 2nd place. They moved onto the semi finals and beat Kemptville C1. In the championship game the Selects played the Ambassadors, who had defeated Kemptville C2 in their semi final game. The Selects team got an early lead and didn’t look back. The Kids For Kids Championship capped of a very succesful season, where they entered three tournaments, bringing home the championship medal each time. The players worked well together both on and off the ice. The coaches were exceptional in building that environment for them. 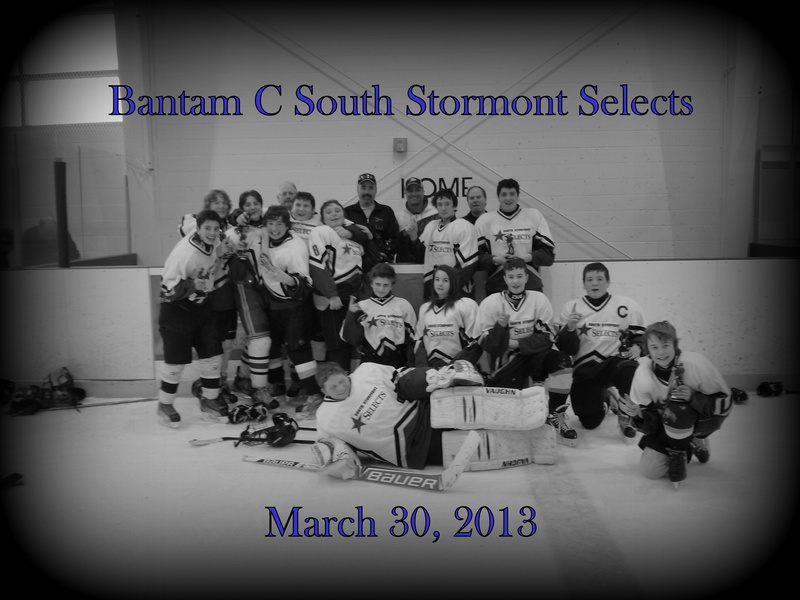 This entry was posted in News and tagged Bantam, C House, Champs, south stormont minor hockey. Bookmark the permalink.